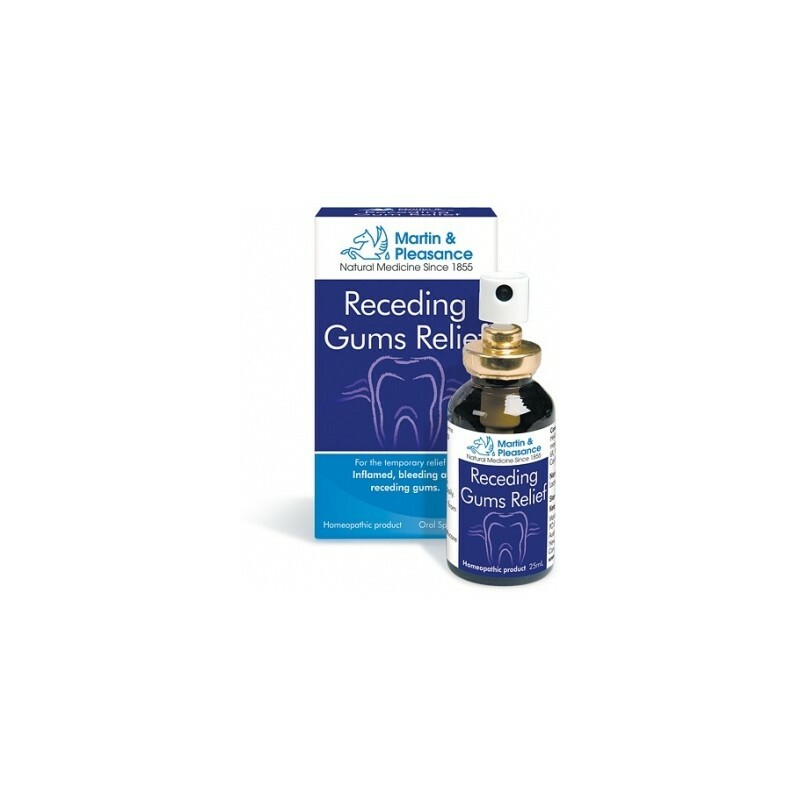 Receding Gums Relief is a homoeopathic formula combined with Schuessler Tissue Salts commonly used for temporary relief of inflamed, bleeding and receding gums. Dosage: Adults: 1 dose is 2 sprays. Take 1 dose twice daily for 4 – 5 weeks. Maintenance dose: 1 dose daily. Directions for use: Spray under the tongue. For best results take 10 minutes before food and/or cleaning teeth or as professionally prescribed. Ingredients: Hekla lava 6C, Fragaria vesca 6C, Plantago major 6C, Capsicum annum 6C, Calcium fluoride 6X, Coccinella septempunctata 6C, Carbo vegetabilis 6C, Contains ethanol. Warning: Always read the label and use only as directed. If symptoms persist consult your healthcare professional. For over 150 years Martin and Pleasance has provided an extensive range of natural remedies based on a commitment to integrity, quality and innovation. 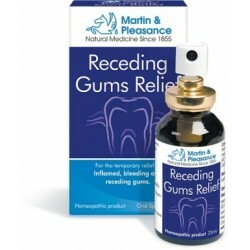 The Martin and Pleasance portfolio includes many familiar brands such as Bach Flower Remedies, Rescue Remedy, Rescue Sleep, Spatone, Schuessler Tissue Salts, Kidz Minerals, Harmony, Ki, Zen tincture, Homoeopathic complex range and Herbal creams. 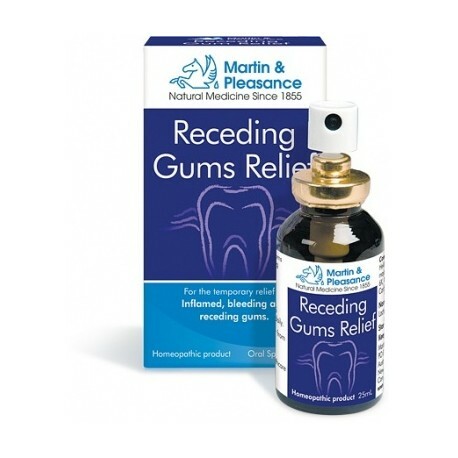 These trusted Martin and Pleasance products are suitable for various lifestyle stages and health conditions that you can choose with confidence.